We are happy to announce that our administrative team has moved to a new location in Odense. (Copenhagen, Denmark, 28 November 2016): Unibio (“Unibio” or “the Group”), a biotech company with the most advanced technology producing single cell protein from natural gas, is pleased to announce the successful opening of its first production facility based in the municipality of Kalundborg in Denmark, marking a significant milestone in the company’s development. (Copenhagen, Denmark, 31 October 2016): Unibio (“Unibio” or “the Group”), a biotech company with the most advanced technology producing single cell protein from natural gas, is pleased to announce the opening of the world’s first commercial U-Loop fermentation production facility with a capacity to produce up to 80 tonnes of UniProtein®, its proprietary single cell protein, per year. The Company is also honoured that, His Royal Highness Prince Joachim of Denmark, will be officially opening its plant in Kalundborg, Denmark on the 21st November 2016. Unibio to seek pre-IPO funding with new plant in Denmark. Chief executive Henrik Busch-Larsen gave Proactive Investors the lowdown on Unibio’s growth strategy and he highlights that capturing just 1% of the animal feed protein production market could deliver hundreds of millions of dollars in revenues. Unibio on course for very quick progress, says CEO. 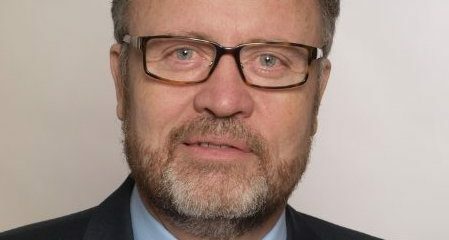 Henrik Busch-Larsen, chief executive at Unibio, believes the company is in a great position as it looks to the future and is excited by the opportunities to develop in the animal feed market. Unibio signs its first commercial licence agreement. After years of development of the U-Loop technology, Unibio is ready to take a giant step forward. Unibio has signed its first licence agreement with a commercial client. A full-size commercial plant having multiple U-Loop fermentors is planned for construction and commissioning in 2017. The aim of the agreement is to expand this capacity in the following years.